Deciding on the perfect dorm Christmas tree is both fun and a lot of work. Your dorm Christmas tree is a dorm essentials item you will have throughout college, so you want to make it good. You also want it to add the most to your dorm room decor. Whether or not your college Christmas tree is green, you still have so many choices! 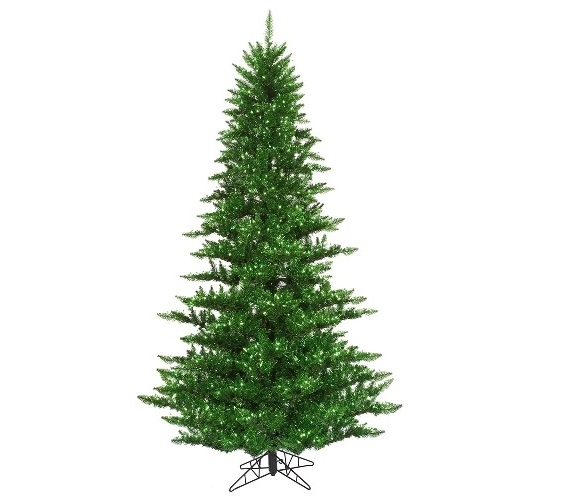 Maybe you decided you want a traditional green Christmas tree but you don't want it to be plain. For a classic green dorm Christmas tree that has extra style for your dorm room decor, add our Tinsel Green Fir Tree with Mini Lights! Our Tinsel Green Fir Tree with Mini Lights has a traditional deep green color with shiny foil highlights to add to dorm room decor. The traditional color of this dorm necessities item will make your college dorm room feel even more like a home away from home. When you think of home, you probably think of decorating a green Christmas tree at your parents'. With this dorm essentials item, you'll be bringing a piece of home to your college dorm room and recreating those holiday themes in your college dorm room. Our Tinsel Green Fir Tree even has clear mini dorm lights on the branches, adding extra dorm decoration to your dorm room decor.